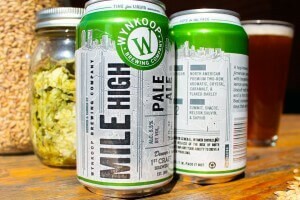 (Denver, Colorado) – Wynkoop will release Mile High Pale Ale as the newest addition in their can lineup just before the July 4th holiday weekend. The beer, a sessionable (at 5.5% A.B.V.) version of the popular Mile H.I.P.A., will feature a new can design which will be the template that the other year-round classics like Railyard, Belgorado, B3K, and Colorojo will soon transfer into. The new can template features the Denver skyline as well as a map of Denver in the background. The beer is currently being made exclusively at the brewpub using our innovative hopinator device, and cans will be available in 6-packs starting July 3rd. Mile High Pale Ale will also replace Silverback, which is no longer produced by Wynkoop, in the Mile High Mix 12-pack box. Colorojo Imperial Red Ale, which originally came out as a seasonal, will be transitioning into the year-round lineup and will be the next beer to move to the new design. 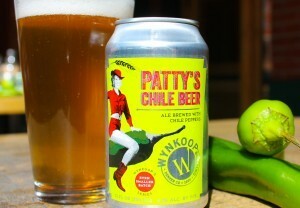 feature quirkier art, but will still be easy to connect to the other Wynkoop beers on the shelf once they are all in the new template,” says Brown. Patty’s, named after Westword founder Patricia Calhoun, will follow Kurt’s Mile High Malt, which was released in April and featured a Kurt Vonnegut self-portrait.